Not Me Monday - Nope, There's NOT A Giveaway! Friday night is family night! We make homemade pizza and watch a movie. If it's nice outside, who can give up an evening picnic under the stars pointing out constellations?! So, if my daughter were to drop her pizza upside down on the way out the side door onto the doormat, I would never pretend like I didn't see her as she picked it up to put back on her plate. I'd at least inspect the pizza to make sure there weren't any hairs or leaves on it get her a sanitary piece of pizza! Yes, I'm a mother. But to a six-year-old?! I'm only 19, in college studying music, playing soccer and looking for Mr. Right. I would never turn 32 and become a mother of 3, much less a mother to a beautiful little girl who turns 6 years old today! That 6-year-old would never turn into a little "me" walking around, constantly picking up after her little brothers, crying when things are out of place and arguing until her opponent tells her that she's right. Because if I were a mom to a 6-year-old little girl, I would be more aware of who I really am. 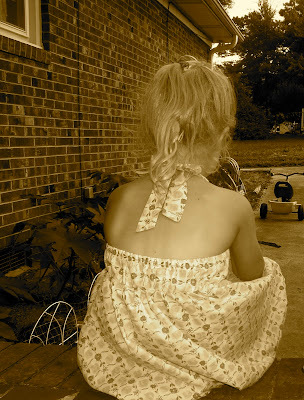 I would be forced to see what I am really like behind closed doors, as only a mom can see. I would thank the Lord for His faithfulness and graciousness to me, to bless me, in spite of myself, with 3 beautiful children, who challenge me to be a better mom, wife and teacher. Because that is what a parent is, right? I always have a rhyme and reason to these Not Me Monday posts, so I'd never let you know that I was asked to Guest Post at the Internet Cafe and leave you a link to a giveaway of my book because you only have 7 more days until it begins! Me: "Sometimes you guys are just so good to me that I want to bless you and do something special for you. Do you guys want to go get some ice cream after we run some errands this afternoon?" Zeke: "Mommy, I got some cash out of my 'spending' envelope so I can buy my ice cream." Me: "Oh buddy, that is sweet, but I am going to buy your ice cream for you. 'Cause if you spend your dollar then you won't have any more money in your spending envelope." Zeke: "That's ok, mom, 'cause I don't want you to have to buy it." Areyna: "Yeah, mom. I got a dollar out of my envelope too. We know that you have to buy your own things at the store, so we are going to buy our own ice cream so you don't have to spend your money on it." Who says that young kids can't grasp life-long concepts at an early age?! This morning Zeke came out right at 9am, which is normally time to get up, and asked, "Can Rainy come cuddle with me in my bed?" 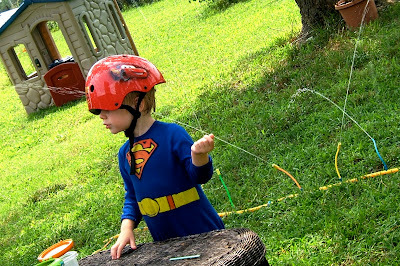 The beautiful weather has made for some wonderfully creative playing outside. Yesterday Rainy and Zeke were out playing in the field behind our house and looking for treasures when they came in for some water. Zeke: "Mom, Rainy told me that the Bible said that we need to be kind to our enemies, so I left some of my Pirate coins outside for the bad guys." Areyna has been learning this concept at church and was, in turn, sharing it with her brother. What could make a mama's heart happier?! I am going to mention my book again. I hesitate to even keep talking about it, but if I don't talk about it, I'm afraid people may miss getting their hands on this resource. I mean really, unless you read my blog or are my #1 fan because you're my friend (ya'll are awesome, by the way), you most likely haven't heard about it. I don't want it to be about me AT ALL. I just know that it has the potential to change the lives of families who are going to do it. As a matter of fact, the children's pastor and his wife are going to do it, and they just got married and have NO kids! I hope it will be a blessing to ALL who read it as they make the Easter story part of their own story. On that note, you now have 10 days until the devotional begins! I was contacted by the staff at The Internet Cafe who wanted to do a write-up about my book and have a giveaway. So, I'll keep you posted here next week. The giveaway begins on Monday. 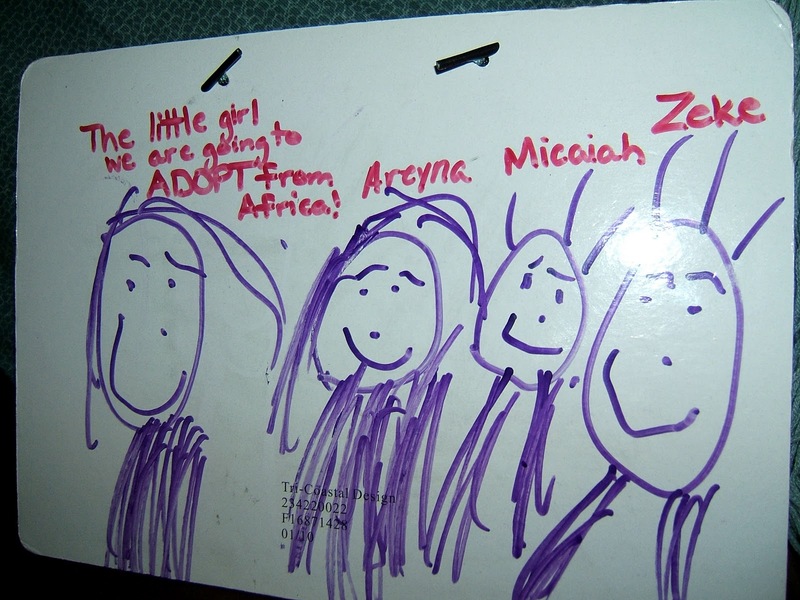 We have had 7 families commit to save their spare change for our adoption. Anybody can save their change and you don't even have to leave the comfort of your own home! Come on and do it with us:) Let me know if you're in! The research showed that you can get an average of $20 for every full bottle of change. That can really add up! Josh and I love to listen to music. That's no surprise, I'm sure! 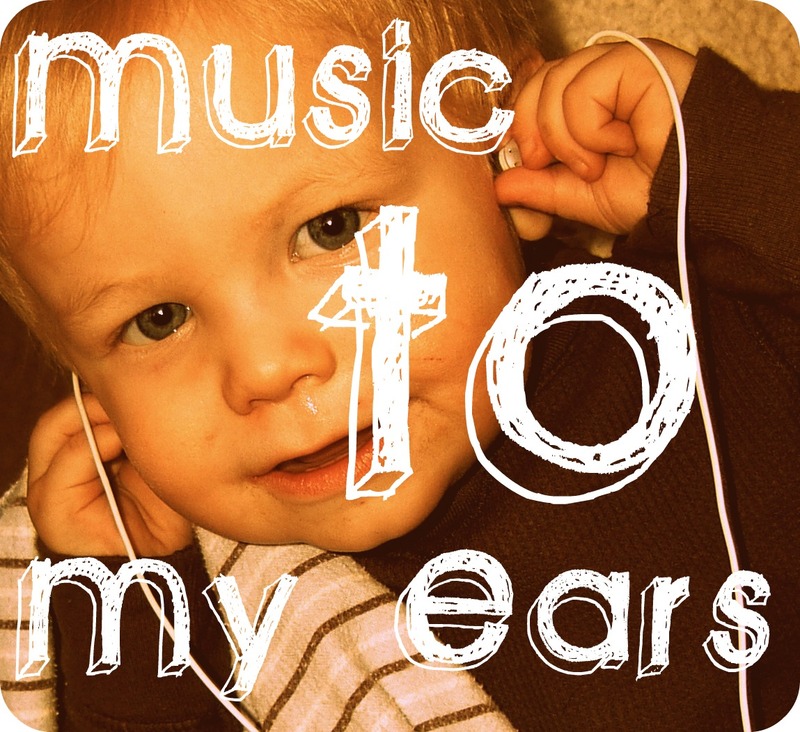 There is hardly ever a time in this house when we don't have music going. We have a few albums that we listen to on a regular basis in the mornings when it is quiet and we are spending time with our Lord. Usually something calm and quiet to help us focus on the One we are trying to get to know. Here are a few faithful albums that we enjoy during our quiet mornings together with our Lord. In my search for simple ways to raise money for our adoption I came across an excellent idea. You all can help too and it won't cost you hardly anything. It is also a GREAT way to get your kids involved too. In fact, we're doing it with our kids and they get SO excited when they can help out! A baby bottle - you can pick one up at the $1 store or get one out of your attic like we did, ha! In all honesty, you could use any container you have to place the label on and save your change. So, I'm setting a goal just for fun! Let's see how many bottles we can fill up with spare change by the end of March! Let me know if you are willing to commit to collecting your change for our little Shabila. Get your kids involved and show them that every penny counts to help change the life of our little girl. I've got a counter on the right sidebar to keep track of how many bottles we are filling! a father who taught me that everything has a place, and that you should listen to a man of few words, because when he does speak those words are going to be full of wisdom. a mother who taught me that love and servanthood can be shown through a lovely home-cooked meal to those who need it most, and that a long-distance prayer can make everything feel so much better. a sister who has taught me everything I needed to know to get me through my pregnancies. a brother who taught me that you really can have a passion for rap AND opera. a sister-in-law who taught me that no family is too strange to marry into, we love you! in-laws who have shown me that generosity has no bounds and that families should stick together, no matter what. a brother-in-law who taught me that I shouldn't be afraid of confrontation. a brother-in-law that has made me see that I shouldn't take myself too seriously. a sister-in-law who is teaching me to "gather my thoughts" before I talk...oh and that leftover pork chops go in the sock drawer. a sister-in-law who showed me the most amazing Way2Save money! a brother-in-law who has taught me that the man behind the scenes is just as important as the one up on stage. a sister-in-law that has taught me that you don't only learn from those older than you. a husband who teaches me everyday who I really am inside and makes me want to be a better reflection of the One who made me. a daughter who reminds me that she is watching every move I make. a son who takes it upon himself to teach me patience every day! a daughter who has taught me that a little really is a lot. a son who is teaching me how to really stretch our grocery budget. a small group and church family who pour into our family and our life, in every circumstance. But, above all, I have a God who has shown me unconditional love and who has given me a freedom to be...me! Who has spoken into your life? In any area of my life when I get behind and try to just make it up the next time, it never happens. I get farther and farther behind. Farther and farther into deficit. Here's just one example where I struggle. We have a grocery budget and with the way my boys have been eating lately it has been almost impossible to keep within that budget! So here is what I start thinking in my head to justify it, "Ok, I'll go get the few things we need and just take that $20 out of our grocery budget for the next two weeks." Here is where it gets frustrating though. I will go into the next two week cycle with $20 less for groceries and am forced to go to the store and spend more money anyway. I am constantly living in this deficit cycle that will not end. When, in reality, I should revisit our budget and make room for a little bit more grocery money. I should rearrange our monetary priorities and start over. I should clean the slate and just try again. I can't keep living in that deficit or we will get deeper and deeper in, all the while getting more and more frustrated that I simply cannot get a hold of our grocery budget. When we struggle with sin, such as a specific "temptation," we try to just keep going and "try harder" next time. When are we ever going to realize that it is not us that forgives and makes our sins as white as snow? The Lord has offered total forgiveness so that we can pick up our bootstraps and try again, but this time relying on Christ's strength in us! We have to be willing to let it go. To give it to God and trust that He can take away that deficit in us. Isn't it nice to know that you can start fresh? That he forgives and wants to help us conquer? Stop living in the deficit of your sin! Ask the Lord for forgiveness, believe that He can and has forgiven you and rely on His strength to carry you through. 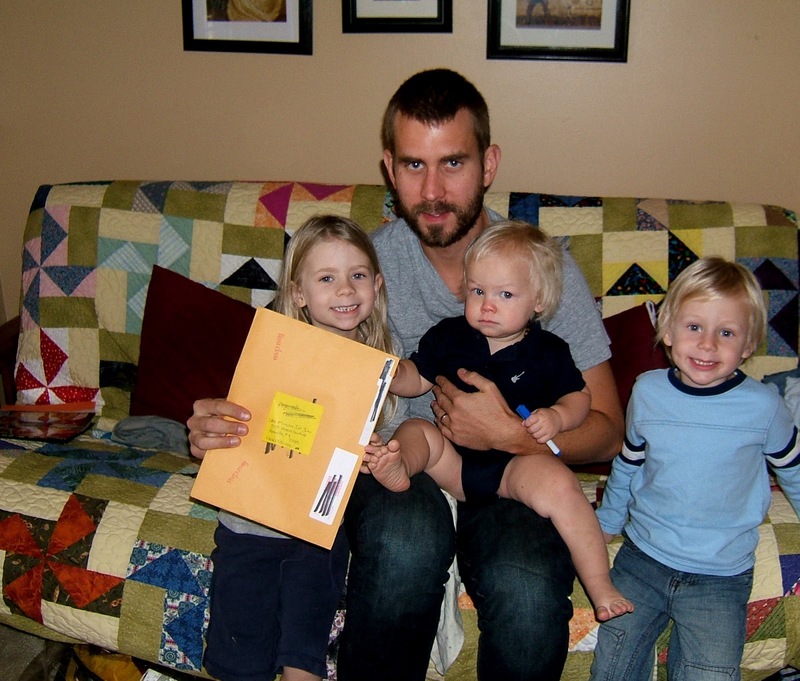 Josh and I love our kids. We really do. So, we would never begin counting down the minutes, an hour before a date, as we try patiently to wait for the babysitters to get here. Josh and I always leave plenty of time for instruction for the sitters when we leave the kids while going on a date. Especially with people who are watching the kids for the first time. Yup. We are very cautious parents. We would never greet our friends, who graciously offered to watch the kids, with a "Hey-how-are-you-thanks-for-coming-do-you-have-any-questions-k-bye" and then jet out the door before giving them a chance to respond. And goodness, especially not if our youngest has an issue with passing out when getting too worked up about something. We would totally warn our friends, who graciously offered to watch our kids, who don't have children, of something so seemingly life-threatening as that. Because, let's face it, how scary would it be, to be those friends who graciously offered to watch our kids, who don't have children, to have a 1 1/2 year old pass out in their arms after a fall, just 5 minutes after the parents leave you with them for the first time. 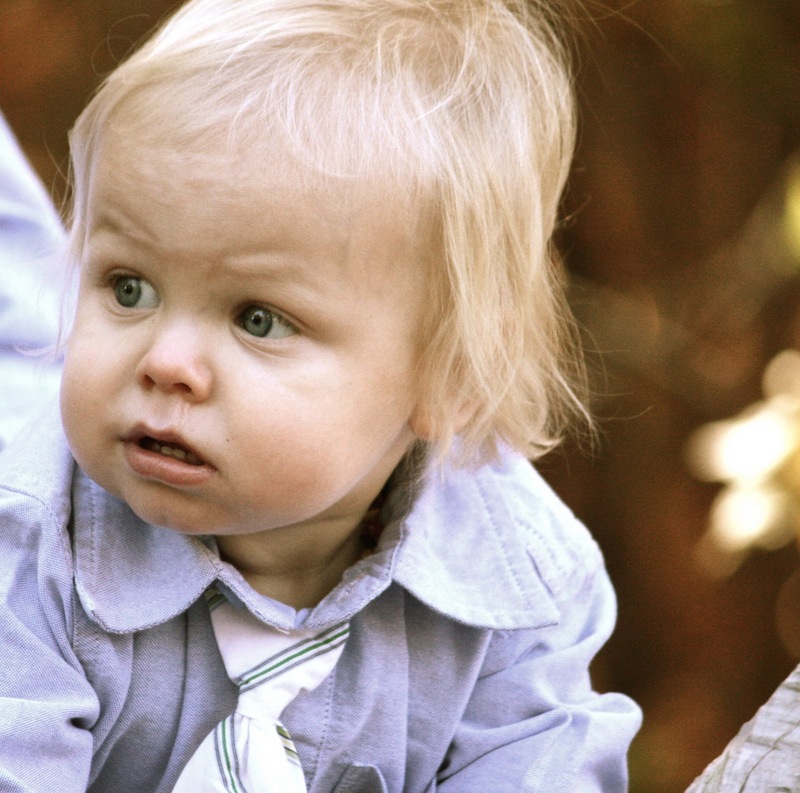 If that were to happen, we would most certainly turn around immediately, when the frantic call came in that our little boy was turning blue and not breathing. ...and then continue on to our date destination. DISCLAIMER: No children were hurt or injured during the above said occurrence (besides, it never happened anyway). with Kool-Aid because I forgot food coloring, ha! in a fun, creative way! I love waking up to the sound of birds chirping in the morning. and lounging by our new pool! 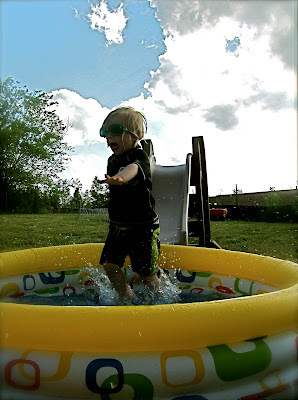 Yes, we got a new pool for this year. We figured it was time to upgrade this year from the $9 pool to the $12 pool (don't worry I got it 75% at the end of the season last year!). It's getting harder and harder to do laps with all these kids of ours, ha! I wonder if we're actually ever going to end up adopting. Sometimes I forget that we are even in the process since we've kind of been at a stand still for so long. Not much has happened in about 5 weeks as we continue to wait for our Home Study approval. We finally made it to the library. We've lived in this house since LAST November and just now visited the library for the first time. The kids have loved having new books to read. Don't be fooled, though, just because it's a "kid book" doesn't mean that it is a short read. Zeke and Micaiah decided to trade jammies last night, ha! What in the world...they are 3 years a part! Well, I need to go start making my rounds to open all my windows. Even after almost 9 years! To me it is the perfect accent to our bedroom. The him it's the ugliest pillow known to man. Love him the way you want to be loved! Family resemblance is a curious thing. I have thought about it a lot the past couple of months as I have observed our children with other family members. More than once people have confused our oldest daughter and me when talking on the phone. In a passing glance at our second daughter I saw my sister and another time a likeness to her cousin. Our son is the most uncanny in that not only does he share physical features with his cousins, they have some of the same idiosyncrasies, and they don't even see each other very often. As we were recently looking at photographs of our nephew, we saw features of both his mother and father. The whole gene pool thing is pretty mind-boggling. Even more amazing is how, as Christians, we are conformed to the image of Christ. As we grow in our relationship with Him, we become more like Him: we yearn for time alone with Him, we develop a heart for the things that He is passionate about, we become less me-centered and more others-centered. And, as that happens, others see Him in us. Oh that our resemblance to Him would be striking to everyone in our sphere of influence. Oh that we would have our Father's eyes. which comes from the Lord, who is the Spirit." 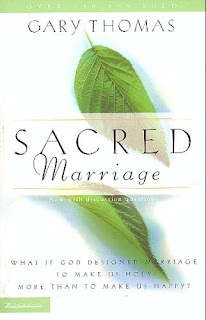 I just finished reading Sacred Marriage: Celebrating Marriage as a Spiritual Discipline by Gary Thomas. What a GREAT book! If you need a book to read together with your spouse or even by yourself, this is a must-read. I could never give this book total justice by trying to tell you about it in my own words, so let me put a couple of my favorite excerpts from it on here so you'll see how wonderful it is and go get it. I promise it will transform your marriage!
" 'Stocism' has never been a Christian philosophy. If truth be told, we serve a passionate God who feels deeply. Our passions are what make us come alive. The apathetic person is a pathetic person. but finding the right things to be passionate about." So often, I think that emotions and passion are looked down on. It supposedly portrays weakness and lack of self-control. But, I have learned to embrace my emotional side. I truly feel that the Lord has given me a deep passion for others and emotions to share with them. This book has totally confirmed this emotional embrace that I've found. God's love and active presence in your life. a fulfilling relationship with God." Ouch! Okay so how are we supposed to do that?! can't relieve entirely on his or her own. than it does with my relationship to Lisa (his wife). the first place I look is how I'm doing with the Lord. Lisa is, quite literally, my God-thermometer." Ok, I've got one more that is by far my favorite section! Francis De Sales wrote, "Let us be what we are, and let us be it well." and we must not try to live as if we were otherwise. we 'do honor to the Master whose work we are.'" but then refuse to adjust his life accordingly. slow him down by even one sermon. De Sales also wrote, "If I ignore God's daughter/son to do God's work, am I honoring God?" everyone around us in our selfish pursuit of devotion." We pray that you do not feel like you need to envy our other kids, but feel just as part of our family as they are. We will boast only in the One who gave you to us. Our heavenly father knew that you were born for our family! 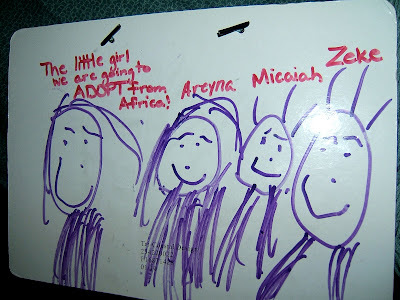 We pray that the Lord will melt any pride that we feel as an adoptive family. We just want to obey God's call on our lives to adopt. We promise not to dishonor you, but to learn about the culture you came from and allow you to find who you need to be in Christ. We pray that we will not be self-seeking, but instead, keep your best interest at heart. We promise not to get easily angered. But, knowing that we are human, we promise to seek forgiveness for the times we are wrong. We do not delight in evil but rejoices with the truth. You can rest assured in this one, little girl. always hope and pray that you will find the personal relationship in Christ that he desires from you. 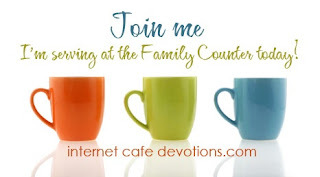 always perseveres as we pray for daily direction to be the parents/family that you need! Josh is patient - he has a wife who, on average, finds a new "home" for an object at least 2 times a week. Poor guy...he had to call me the other day, after being sweet enough to start some laundry, because he couldn't find the clothes pins. Josh is kind - except for when he steals my covers every night! He does not envy - he rejoices with others in their blessings. He does not boast - he actually gets uncomfortable when people talk about his accomplishments. I may struggle with this one a bit more...okay, so I'm just a little bit proud that he's MINE! He is not proud - Josh is one of the most humble men I know. He does not dishonor others - he is a very loyal friend. He thinks through his words carefully so as not to say something he should not. Another reason why I love him. He is not self-seeking - except for when he steals my covers every night! He is not easily angered - in fact, people often ask me, "Does Josh ever get mad? ", "Has Josh ever lost his cool? ", "Does Josh ever raise his voice? ", or "Is Josh always so laid back?" My answer is always "No", "Once" (the Henderson youth group knows the one time Josh got mad, ha! ), "No" and "Yes". This is just one reason why I love this man of mine! He keeps no record of wrongs - except for that blasted children's plastic yard chair that I sat on and broke in Charlotte. For some reason he thinks that is just SOOOO funny. Josh does not delight in evil but rejoices with the truth - this is evident to all who know him. He lives this out on a daily basis. He always protects - it's almost crazy how this happens sometimes. When we go out as a family, Josh gets in "protective mode", as we call it. He gets really quiet, almost on guard, as we walk through the store, making sure that we are all okay. always trusts - no matter how many times I fail, he never holds it against me, waiting for yet another failure. He trusts in me and encourages me to be the woman God made me to be. always perseveres - he works very diligently at the tasks laid before him from the Lord. 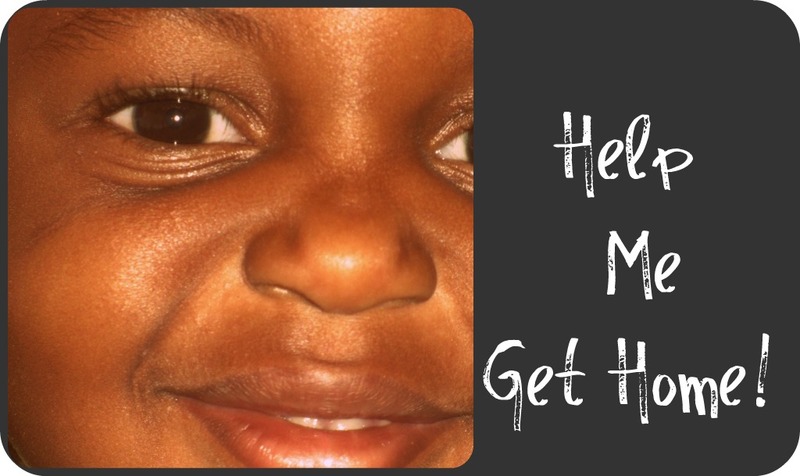 Micaiah is patient - he has two older siblings who think that they are his mommy and daddy. They are always bossing him around. Now, because Cai can't communicate with words much yet he is forced to "let them know" how he feels in other ways;) He will learn though, right? Right. Micaiah is kind - he has grown a lot since the bubby battles that occurred in his early age. He has started realizing the precious comfort that Zeke's bubby and Areyna's bear give them and freely seeks them out to give their lovies back to them. He does not envy - okay, okay...but he is only 1 1/2:) He only wants what someone else has, ha! He does not boast - he can't talk yet, silly, but he does squeal with delight when he finally masters a task he has been working on! He keeps no record of wrongs - thank goodness he wasn't around for the time I sat on that blasted children's plastic yard chair in Charlotte or he'd never let me live that down either! Micaiah does not delight in evil but rejoices with the truth - when he must be disciplined he is quick to apologize to the victim (yes, usually it involves chasing Zeke up and down our hallway with his drumsticks) and calming his heart to embrace love, which is Truth. always hopes - this boy loves him some food and he always hopes that I will give him some throughout the day if he bangs on the cabinet doors enough or protests in front of the refrigerator long enough! always perseveres - this is one very encouraging thing I have to say about my Cai...he always perseveres. He is a very determined little boy. If he falls off the steps to go up the slide he stands right back up, even before his crying dies out, and climbs right back on that slide until he has mastered how to get to the top, pull his legs around from behind him to sit at the top and slide down all by himself. He works and works until he accomplishes what his mind is set on, like the big step down from the kitchen to the car port. He will go up and down and up and down until he can do it without falling down. I love this about him! Zeke is patient - he has a mama who forgets things all the time. I forget things so much that he has to continually ask me for the same things constantly. For example, his drink at lunch, or his snack (from like 30 minutes ago) or to please get AAA batteries at the store. I've had to start writing his requests on the blackboard in my kitchen so he knows I won't forget. So, yes, Zeke is a very patient boy. He does not envy - Zeke has a handful of special toys that keep him very grateful for what he has, so he's not too worried about others' possessions. He does not boast - he doesn't seek out affirmation from me or Josh, although he gladly accepts praise when it comes to him, but he doesn't mind doing things behind the scenes. He does not dishonor others - he is very compassionate and loving toward others. 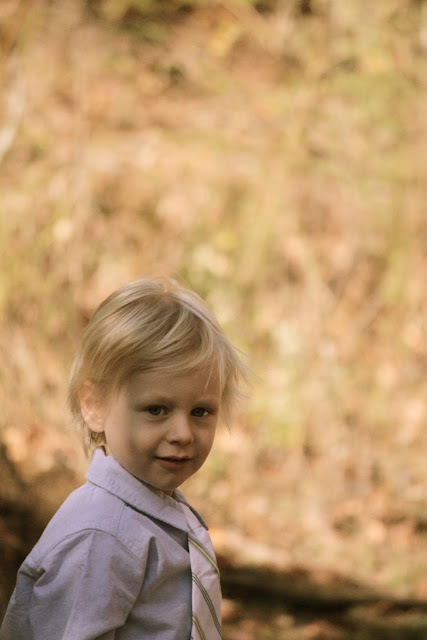 He is not self-seeking - I've loved seeing his heart transform through our adoption process. He has gone out of his way to do things to "help" bring our little girl home. He is not easily angered - Okay, I lied, but he really is getting better at this one, ha! He keeps no record of wrongs - except for that blasted plastic children's yard chair of Areyna's that I sat on in the backyard in Charlotte and broke. Yeah, he won't let me live that one down either! Zeke does not delight in evil but rejoices with the truth - that is why he always prefaces a tattle-tail remark with, "Ummm, I'm not trying to get Rainy in trouble, but..."
always trusts - okay, I lied about this one too, he really thinks everybody is out to get his "special to me" toys like his treasure box and spiderman sticker book, but after some convincing, he usually begins to trust again. always perseveres - no matter how hard Micaiah knocks him down!